The gorgeous white dress, cascades of flowers and streamers, a prestigious venue – and not to forget the catering, champagne and music – it is not a simple matter to organise the most important day of your life, your wedding day. That is why the Wedding Fair has become a unique event for couples who are preparing to take that important step. 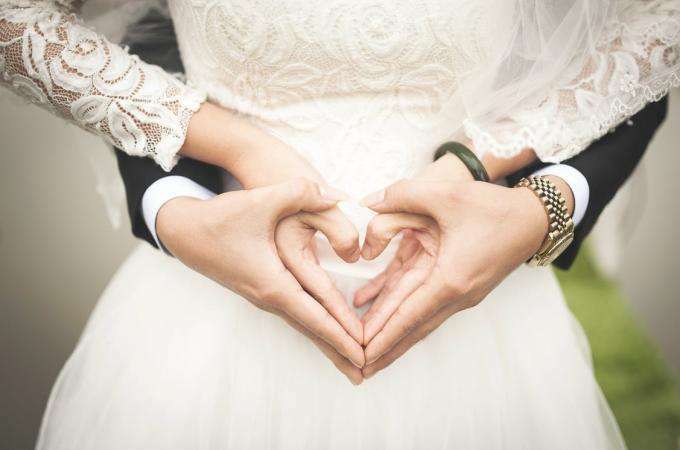 On 17th and 18th September, Paris Expo, Porte de Versailles, will put on its white dress and play host to a thousand Cupids for the Wedding Fair. Dresses and jewellery designers, lavish floral arrangements, charming castles, romantic orchestras, talented photographers – everything that makes for the perfect wedding can be found here. Attend parades and shows, take part in tastings, and glean thousands of useful details that you can then adapt for your own ceremony. From the most traditional to the most unusual, everything is on hand to help you create a magical atmosphere that is worthy of your unique and memorable day. This event is not only a chance for you to linger and dream. It is also an opportunity for you to meet service providers and learn about the essential elements that go into the organisation of your wedding ceremony and reception. Do you wonder what music to choose or what gifts to give guests? Do you want ideas for your hen or bachelor night, or advice on choosing a photographer or your wedding lingerie? You will find all the answers in the aisles at this exceptional exhibition. Whatever your budget and your desires, a panel of professionals is on hand and at your disposal to help you organise the wedding of your dreams.